You asked and we listened! We are very excited to announce that a number of our popular specials have moved from our specials board onto our permanent menu! 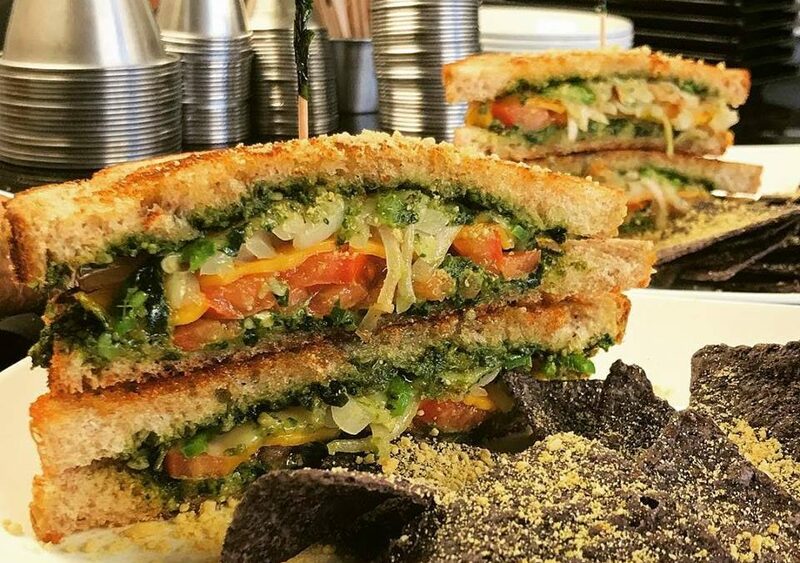 You’ve never tasted grilled cheese like this: pesto, tomatoes, roasted onion, vegan American & Provolone cheese, pickled jalapenos and cashew parm on whole wheat bread from our good neighbors at Importicos Bakery in downtown Stuart. We also introduced a new Kid’s vegan grilled cheese sandwich with vegan American cheese by Follow Your Heart and cashew parm on whole wheat bread from Importicos, served with blue chips. Try it, you’ll love it, and bring the kids! 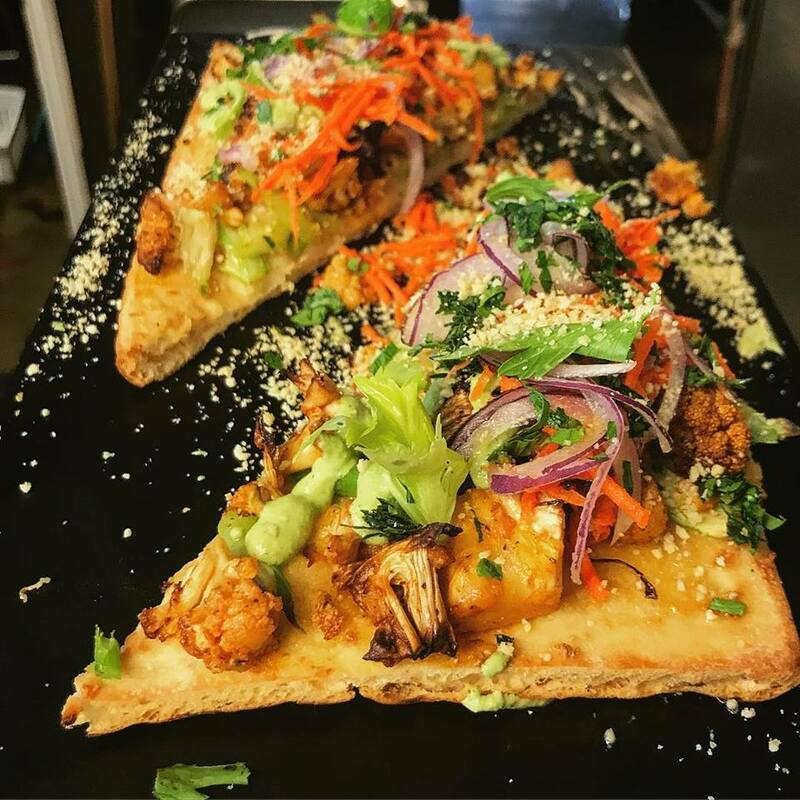 Flatbread smeared with roasted garlic and topped with buffalo cauliflower, thin-sliced celery, carrots & red onion topped with cashew cream, parsley and house parm. There’s gonna be a stampede for this! Romaine, sun-dried tomatoes, quinoa, garlic croutons, red onion, carrots, & buffalo cauliflower tossed in a creamy cashew dressing with cashew parm. The wild, wild west meets antiquity! Zoodles, asparagus, spinach, sun-dried tomatoes, roasted onion, mushrooms, & cashew parm tossed in garlic/basil sauce. Zoodelicious! 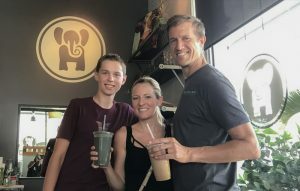 Click here to visit our full menu. Open Monday – Saturday 10 a.m. – 8 p.m.